Bridging the Gap is a new publication series produced by the Trade and Investment Division of ESCAP that disseminates information about our capacity development activities in least developed and landlocked developing countries. The series showcases how we work together with our Member States towards establishing favorable conditions for inclusive and sustainable trade and investment. The series offers valuable information for governments of member states and regional and international development partners. 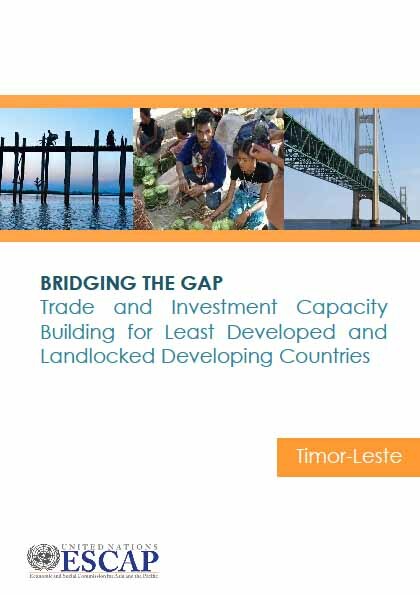 This document summarizes the 2013-2015 trade and investment capacity building programme for Timor-Leste.